Washington criminal defense attorneys understand that people sometimes face drug charges because they were in a vehicle or a home where drugs were present. This can be particularly true of the owner or resident of the property where the drugs were found. Although a landlord generally cannot be held liable for a tenant’s criminal actions just because he or she failed to evict the tenant, a Washington appeals court recently upheld a conviction of a woman whose boyfriend allegedly had a marijuana grow operation in her home. According to the appeals court’s opinion, the defendant lived in a home owned by her stepmother with no formal lease agreement. She shared the home with her children, her boyfriend, and her boyfriend’s brother. The police executed a search warrant and found 27 marijuana plants in the back yard, marijuana in the kitchen, and drying marijuana and glass pipes in the basement. The defendant was charged with manufacturing marijuana. She testified that the marijuana was her boyfriend’s and denied any involvement with the marijuana grow. She testified she had asked him to stop, but he did not do so. She admitted it was her choice to allow her boyfriend to remain at the residence. The jury instruction on the definition of manufacture stated it is “the direct or indirect production, preparation, propagation or processing of any controlled substance.” The defendant’s attorney objected to the instruction, contending that it was vague and misleading. 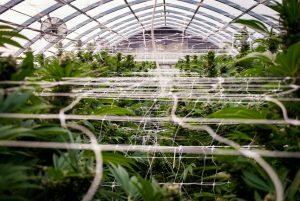 The state argued the defendant acted as a de facto landlord and was therefore responsible for providing a location for the grow operation. 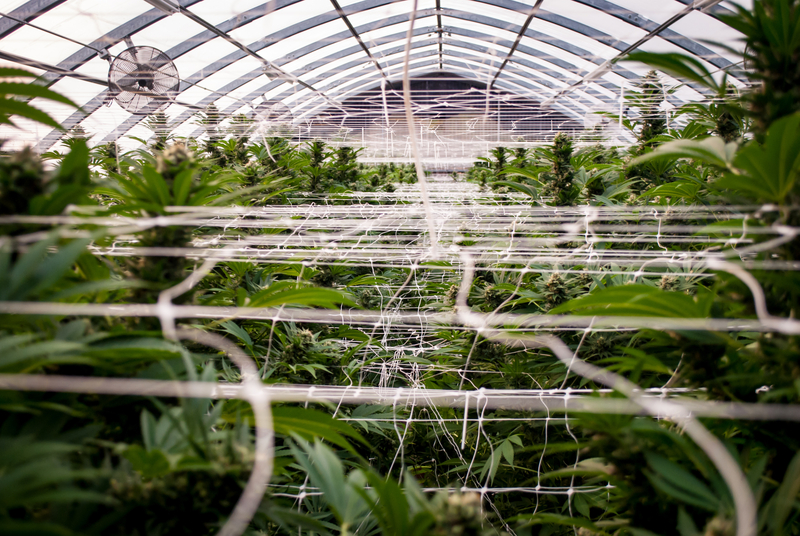 The state argued the defendant had dominion and control over the property and therefore had direct or indirect involvement in manufacturing marijuana. The jury asked the court to define “indirect” during its deliberations, and the court referred them to the jury instructions. The jury convicted the defendant. The defendant appealed. She argued case law held that a landlord is not responsible for a tenant’s criminal activity just because the landlord failed to evict the tenant. She argued the instructions were unclear because they allowed the jury to convict her under the erroneous legal theory that she was responsible as the de facto landlord. The appeals court distinguished the previous case law from the present case, however. In the case cited by the defendant, the grow operation was in the basement and the landlord tried to present evidence at trial that he had sublet the basement and did not have control over it or the tenant’s activities. In that case, the court considered the restrictions on the landlord’s access to the property under Washington landlord-tenant law. In the present case, the appeals court found the defendant did not have a traditional landlord-tenant relationship with her boyfriend. She did not rent a portion of the home to him and did not have restricted access under landlord-tenant law. They shared the entire household and she maintained full access to the property. The appeals court found that, because she had full access, she could be found in constructive possession of the marijuana. The appeals court also found that the instruction was an accurate statement of the law. The appeals court affirmed the conviction, though one Justice dissented. If you are facing drug charges, an experienced Washington criminal defense attorney can help you protect your rights. Call Blair & Kim, PLLC, at (206) 622-6562 to set up a consultation to talk about your case.